Happy Hour: Tuesday-Friday 4-6pm. $1 Meatball Sliders, $5 Shrimp Cocktail, $5 Nacho Supreme, $3.50 Wells, $1 Off Beer, and $2 Off Wine. Sunday Brunch: Sundays, 10am-2pm with a Bloody Mary + Mimosa and Bellini Bar. Afternoon Appetizer Specials: Daily, 2pm-6pm, Gingered Chicken Salad Mini, Havana Pork Mini, Shrimp Po Boy Mini, Legs & Wings (Voodoo or Hot) and $2 off all regular menu items. Half Price Oysters: Mondays, Chesapeake and cold water varieties of raw oysters are shucked fresh and served with housemade cocktail sauce, mignonette, and fresh grated horseradish. Get them half price every Monday while they last. $8.50 Catfish Entrée: Wednesdays, premium catfish fillets breaded in cornmeal and served with signature olive fries, island slaw, and hush puppies. 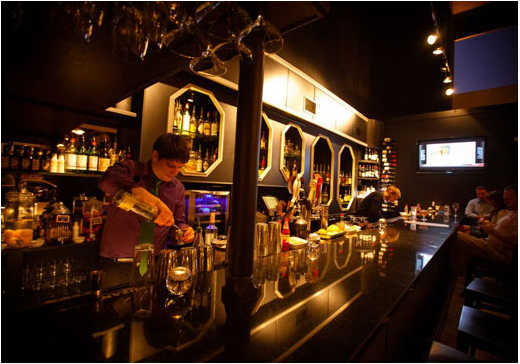 Daily Cocktail Hour: Daily, 2pm-6pm, $1.00 off beer, wine and cocktails. Including the “Lawton Margarita” and the Caipirinha. Happy Hour: Mondays, $3 off half liters. Happy Hour: Monday-Friday, 4pm-7pm, $3 well drinks, $1 off specialty drinks, $0.50 off all draft beers. Happy Hour: Monday-Friday, 4-7pm, Saturday & Sunday 11am-5pm. Bar bites and drink specials in the Firebar and on the patio. Live Music: Friday & Saturdays, 8:30pm-12:30am. Tap that Glass: Take home a new glass every Tuesday night just by buying a beer – something you already want to do anyway, 5pm. Pub Quiz: Trivia every Wednesday night, 9pm. Half Price Wine Night: Thursdays starting at 6pm. Happy Hour: Monday-Friday 4-7pm. $1 Off Premium Irish Liquors, 1/2 Price Irish Draughts, 1/2 Price Wings, 1/2 Price Cheese Dip. Happy Hour: Monday-Friday 3-7pm. $3 Wine, Select Drafts and Appetizers. Happy Hour: Daily, 2-8pm, ½ off house wines, $1 off domestic beers, doubles served on well liquors. Monday: Big Band Nite in the Coconut Room-A local group of musicians collaborating together for a great performance. Tuesday: Oyster & Steak Night-Sailor Dozen Oysters on the Half Shell for $15.95, and 14oz Ribeye for $20.95. Wednesday: ½ off selected wines by the bottle, slow roasted prime rib for $16.95. Jimmy Harris performs in the Coconut Room and the DJ Dance Party on the dance floor in the lounge. Thursday: Sailor dozen oysters on the half shell for $15.95, and 14oz Ribeye for $20.95. Jimmy Harris performs. Friday: Seafood platter for $17.95 with Jimmy Harris in the Coconut Room and the DJ Dance Party on the dance floor in the lounge. Saturday: Pepper Bacon wrapped filet mignon for $26.95. Jimmy Harris in the Coconut Room and the DJ Dance Party on the dance floor in the lounge. Tuesday: Tiki Tuesday, 5-10pm, Tiki food and drink specials. Thursday: Keepin&apos; It Local Thursdays, 5pm-close, $2 Chicken Biscuits, $16 Pitchers of featured Local Beers, Live music from 8-11pm. Wings Are for Winners: All football season long if you are in the restaurant when the final buzzer sounds and our home team (ATL-Falcons, NC-Panthers, TN- Titans and Falcons) wins the game, everyone receives a card for a FREE 6 pack of wings. Happy Hour: Monday-Friday, 4-7pm, $0.50 off all beers. Monday: $5 Burger, All-natural pasture raised beef with lettuce, tomato and onion. Available all day on Mondays, dine-in only. Tuesday: 1/2 Off Salads, Choose any salad for half off. Available all day on Tuesdays, dine-in only. Wednesdays: 1/2 Off Shrimp & Grits, Half off Tupelo Shrimp & Grits. Available all day on Wednesdays, dine-in only. *Prices and specials are subject to change. Contact the restaurant or bar in advance if pricing is an issue.